Our West Coast IPA has a light copper color and has citrus, pineapple, stone fruit, and pine notes from the over 3 lbs of hops brewed per barrel of beer. There are a lot of tropical aromas present from all the hops used in the dry hop process. This beer is our Summer Wheat setting on whole strawberries which infuses the beer to our end offering. It is extremely refreshing and light and great for a hot summer day. You will taste mainly strawberry but may get some slight sourness on the back end. 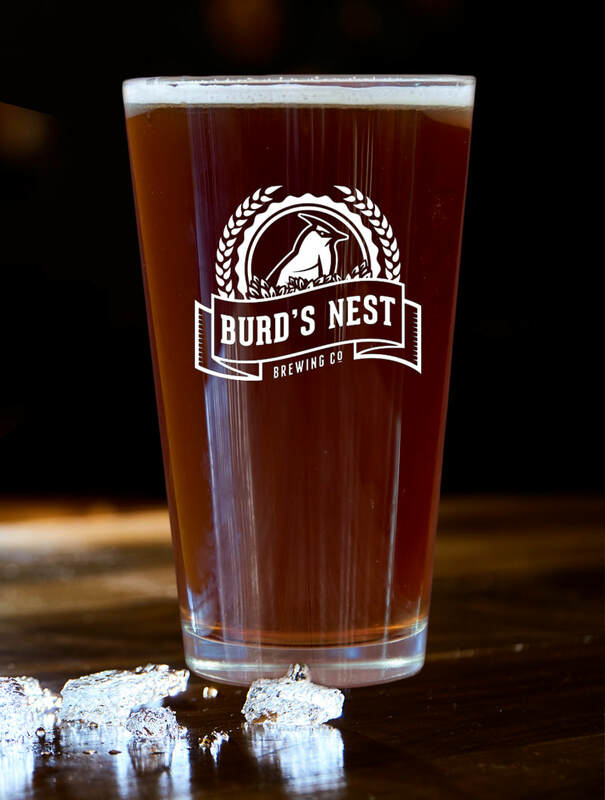 Raspberries meet our Black Friday Porter with this refreshing malty ale. This beer still has all the great qualities you want in a porter with chocolate, caramel, and slight coffee but has a great aroma and flavor punch of raspberries. This unfiltered West Coast IPA has a lot of floral and citrusy aromatic qualities in addition to the orange, gooseberry, grapefruit, and lemon notes. It's an extremely refreshing spring and summer favorite. First mentioned in history in the 16th century this ancient ale style has evolved to be a bit more complex than originally brewed. It has a malty body with a punch of toffee and caramel and hints of nuttiness. You may be able to pick up very subtle spice from the hops, but the barley is the star of the show in our Nut Brown Ale. This is a fairly dry oatmeal stout, with the complexity of oats and dark roasted grains present. Oats add a nutty, grainy, and earthy flavor. The coffee and roasted chocolate notes come from the dark grains. The beer has a medium hop bitterness with the focus being the malt. 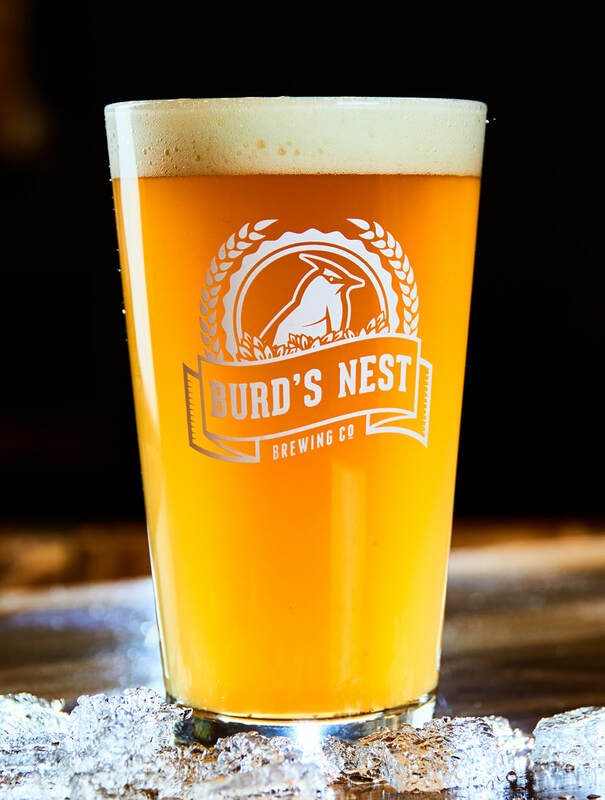 A Liquid Noise, Burd's Nest, & Market Cross collaboration. This ale is a no boil Norwegian styled Kveik hopped heavily with Citra and Centennial then steeped with Juniper berries. Notes of London Dry Gin, fresh citrus rind, and lightly toasted biscuits. Our Coffee IPA is a blend of our black IPA and Denim’s cold brew coffee. It is one of our darkest beers but has a nice subtle finish of spiciness from the hops. You’ll taste a little bit of chocolate but mostly this is smack you in the face coffee. Our American style Pale Ale is one of our most refreshing beers. It’s hazy, citrusy, and has nice floral aromas. It has medium malt characteristics and has slight caramel notes towards the finish. This Marzen style beer has been popular since the first Oktoberfest festival back in 1810 in Munich Germany. It has a dark amber color, toasted Munich, Vienna, and Caramel malts, and a very subtle bite from the slight bitterness extracted from the hops. It is one of the only lagers we currently brew. One of our maltiest beers this has coffee and chocolate malted barley giving the beer it’s extremely dark color. You will get roasted notes of caramel and toffee with a slight chocolate aroma. This is a very light beer and not overly hoppy, however has a great aroma of lemon and citrus fruit. Originally brewed in Cologne, Germany this ale is unique because it ferments warm but is cold conditioned like a lager. This is a non-traditional IPA that uses a lot of roasted barley and chocolate malts which gives the beer a body similar to a stout. It is heavily hopped with a lot of piney and spicy notes.